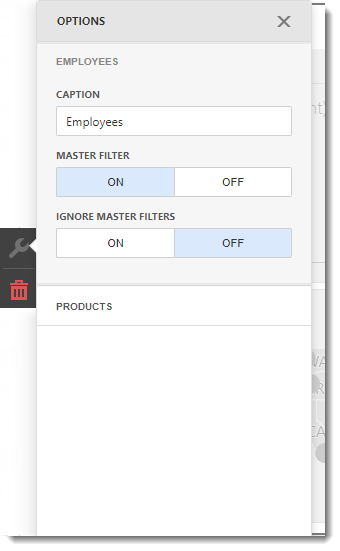 How do I create Tab Containers in IntelliFront BI Dashboard? 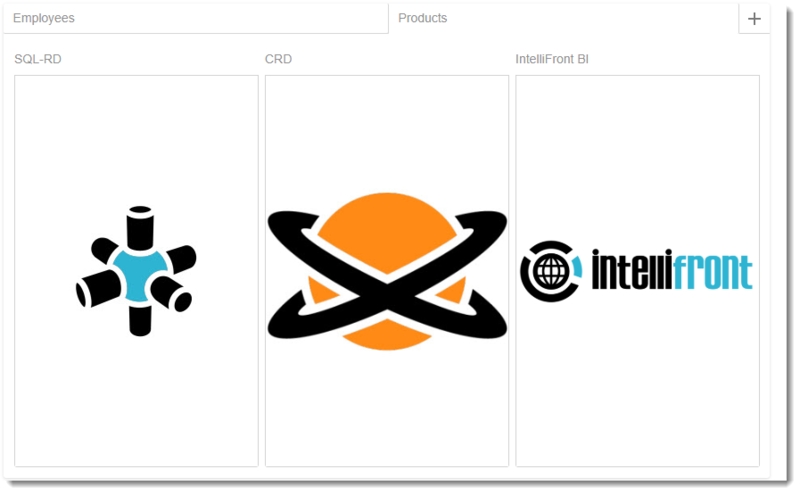 This article will help you create a Tab Container dashboard. 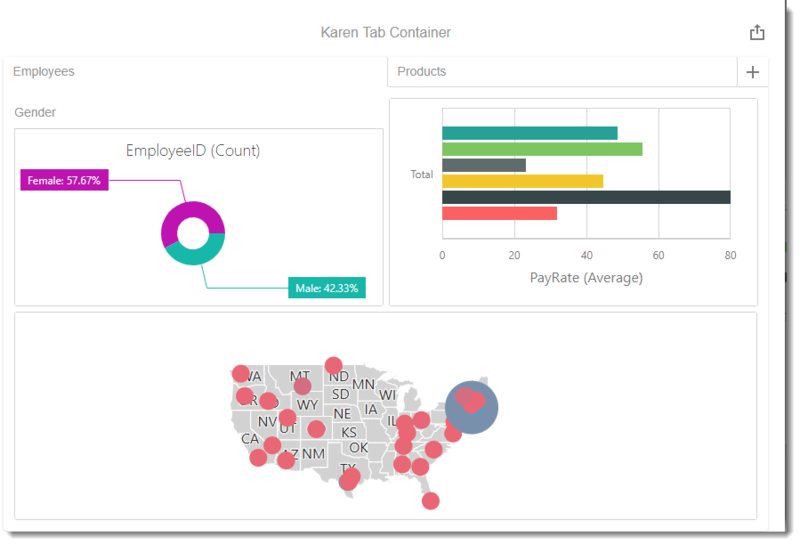 A Tab Container is ideal to separate dashboards by categories. What are the products the company offers? To create this visual, begin by selecting Tab Container. 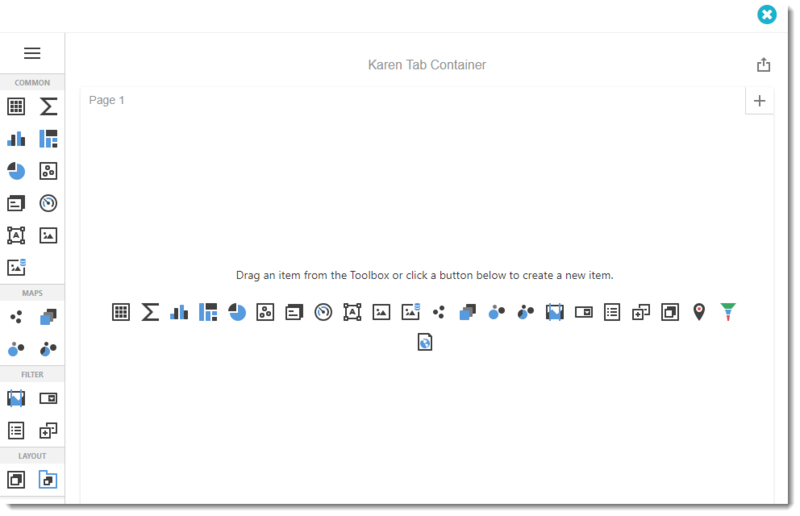 The Tab Container visual is to layout dashboards by categories. After you selected Tab Container you may add as many dashboards visual as you like. Click (+) button to add more tabs. 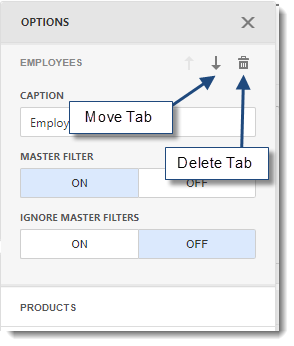 In this section, you can change the tabs captions, move and delete tabs.